Prowl the waters of the South Pacific during WWII. 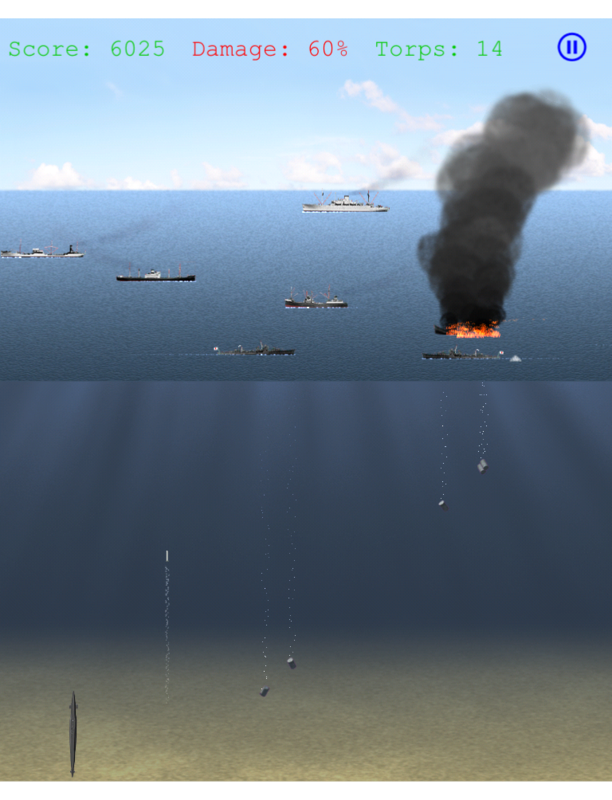 Engage in unrestricted submarine warfare against the merchant and naval vessels of the enemy. And most importantly, survive to tell the tale! Stalk, target and destroy your enemy's ships. Avoid the inevitable, massive depth charge retaliation. "Torpedo Away!" puts you in command of a US Navy Gato class submarine circa 1943, and provides you a target rich environment. The rest is up to you. Just make sure YOU are not the one who ends up down in Davy Jones' Locker! This FREE, universal app supports iPhone, iPad, iPod Touch devices running IOS 4.2+. Retina graphics supported. Includes Game Center integration. Strap in! Throttle up! Get airborne! It's 1943 and you are a US Naval Aviator somewhere in the South Pacific during WWII. 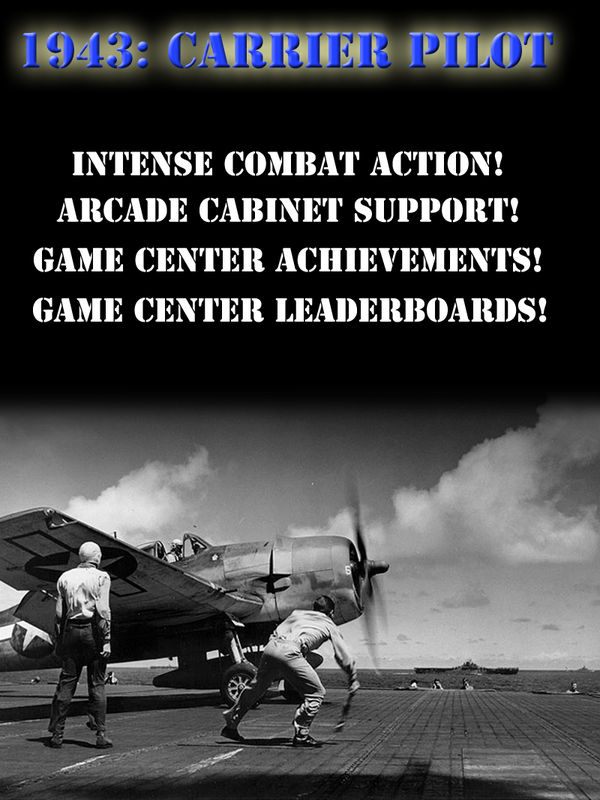 Your carrier is under massive attack by enemy fighters and torpedo bombers. It's a desperate situation. You are vastly out numbered, but you MUST take out as many of the enemy as you can. Your shipmates are depending on you! Are you up to the task?